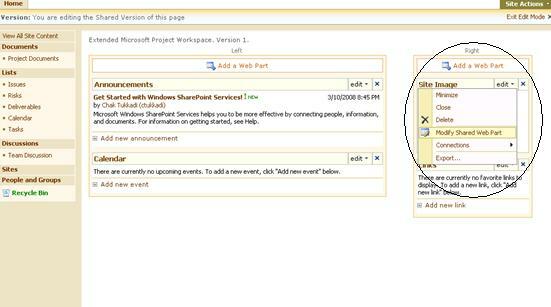 You could use your orginaztion logo instead of default logo "Windows SharePoint Services" in the right zone of the site. 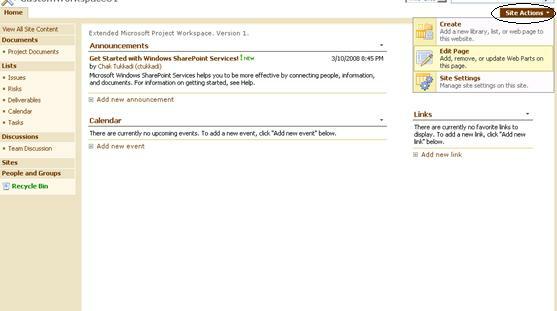 In this example, I am showing the steps to replace the default logo �Windows SharePoint Services� with new image called "epmcentral.jpg"
Note: To perform the following steps, you need to have SharePoint administrator access. 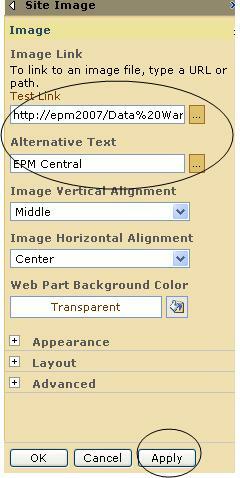 Tip:You should view the image file on browser by pasting the above URL on IE address bar. New image will be displayed on home page.